It is vital to mention that high capacity storage tanks are essential for many organizations and business including fire protection systems, oil and gas industry, power plants and other water distribution systems. They always need ways to store water and other liquids for chemical manufacturing, for water systems, food products, dry goods, drilling fluids or with fuel or other dry goods. Most of them are watertight, repairable and straightforward to maintain. 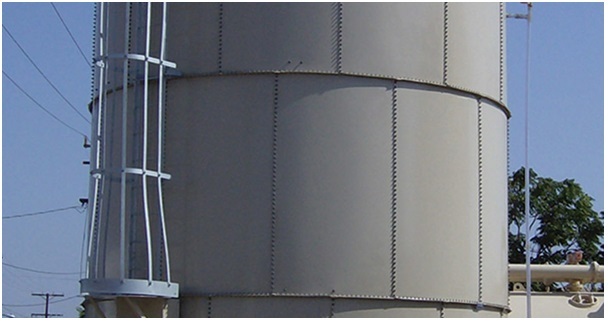 Traditionally, large storage tanks have come from welded steel that got finished onsite. Another choice is to get concrete, which is poured directly at the place where you wish it to stay because they are not maneuverable. In both theory and practically speaking, both types are performing well, but they come with downsides that are expensive in the long run. Since welded steel tanks are prone to corrosion, that could cause cracks, so you have to inspect for leaking points before you fill it up thoroughly. On the other hand, concrete tanks are massive, and you will need to wait lots of time for them to dry. That is the main reason why people are using bolted tanks. The best thing about them is that they feature panels that you can bolt directly onsite, which is a more convenient choice than other types. You should have in mind that steel tanks will have to be thoroughly inspected directly onsite, while concrete ones are difficult to make. Both of them require plenty of installation time as well as associated costs and labor. You should also make sure that there are no harsh weathers because rain and heavy wind can postpone the installation. Since bolted tanks are going to be manufactured off-site, it means that they arrive in quick-to-assemble sections, and the overall setup will go as peace of cake. You will be able to do it on any weather without any additional problem. We have mentioned above that bolted tanks are already finished, so each section will be manufactured in a controlled facility, where the metal will be formed. They will also apply protection against corrosion and other weather conditions. Since everything will be done at the manufacturing facility, making of this particular type of tanks is eco-friendly and will create less waste and pollution altogether. Everything will be over in a matter of hours directly onsite. It requires spraying sealants that will protect it against environmental damage, and it can easily withstand harsh conditions such as wind, rain or bad weather. In some areas, you will have regulations about which sealants you can use, so make sure that you choose the one which is friendly to the environment. The installation flexibility is much more convenient when compared with concrete or steel tanks. You can choose various sizes that could reach up to two million gallons, and you will be able to customize its design based on the are you wish to place it. That will give you the possibility to make it taller if you do not have appropriate width or vice versa. You can build them on a concrete ring or directly on the ground, but have in mind that you have to meet local regulations and project requirements. Since other tanks require regular maintenance, you can finally rest assured, because bolted tanks are easy to repair and do not need extensive labor and high finish. You can reduce the overall costs of upper materials, and you can also enjoy it because it will stand the test of time too. Even if something happens after some time, you can only repair or replace that particular part, and you do not have to pay for another tank altogether. It is vital to comply with industry standards when it comes to water tanks, so it must have EPA and FDA certification and rules which is NSF Standard 61 that will provide you with fresh water usage proof. You should click here to learn more on NSF Standard 61. So when you’re choosing the appropriate tanks, you should check for the certification before you make up your mind. That way you will reduce the hassle of buying something that won’t provide you the same level of security and safety.